Today in English class, we dove into a peer edit on our book reviews, and then signed onto the iPads and used keyboards to make further revisions on the reviews. The final drafts of our book reviews are due on either Wednesday or Thursday of this week (December 2 or December 3). Here is a model middle paragraph, including notes on how to include a quote and thoughts on your topic sentence. For more examples of the first paragraphs, and organizers for how to structure your middle and concluding paragraphs, scroll down through previous posts to find loads of fabulous links! At the end of last week, before the holiday, we explored the idea of perseverance, and how finishing something is deep[ly powerful--even if it is not as amazing as you had hoped. Here is the powerful Olympic video we watched of Derek Redmond of the 1992 Olympics. Our word of the day today is JUXTAPOSE, which means to compare two things side by side. It is also a poetic term that we'll discuss further in the Spring! Today, we had an awesome time all working together on our book reviews. We continued to craft our middle (body) paragraphs and our conclusions. (See the links in yesterday's post for all kinds of great organizers, the assignment, and inspirational ways to think about writing a book review or a thesis essay). For tomorrow, we will be studying our vocabulary words for our next Creative Vocab Quiz! We have seven words this time, however you will only need to use five on the quiz! Our words are: OBLITERATE, COPIOUS, TUMULTUOUS, NEURON, PATHOS, IMPERVIOUS, and TRANSFORMATION. (See in posts below for definitions and examples). The rough drafts of our book reviews are due Monday, November 23, in a printed out version. And the final drafts will be due Wednesday, December 2. 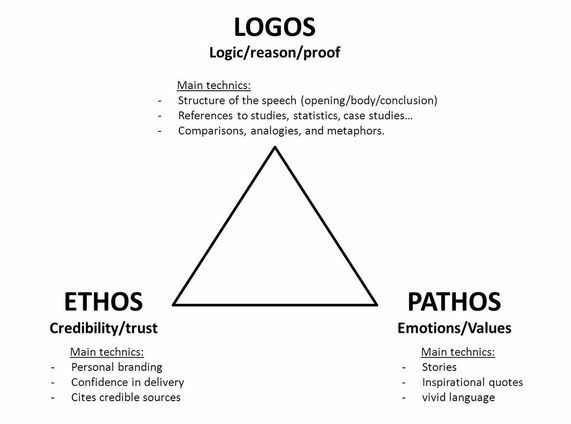 Yesterday in class, we talked about the RHETORICAL TRIANGLE and what it represents. IN one corner, we have pathos (meaning emotion); in the second corner we have logos (meaning logic), and in the third corner we have ethos (meaning credibility and trust). When a speaker or a writer or a debater or even a company makes an argument, they will often try to get listeners or readers (or shoppers) to be persuaded by making them THINK (logos), FEEL (pathos), and TRUST (ethos) that their argument is a good one. We also viewed the final courtroom scene from the film A Few Good Men to better understand and discuss what the rhetorical triangle looks like in action. Here is the clip we watched: A Few Good Men final courtroom scene. Our word of the day yesterday was...PATHOS (which is defined above in our rhetorical triangle). Today, we are in the library, typing up very rough drafts of our thesis essays. Our goal is to have a working draft of our book review by next Monday, November 23. Then we will begin revisions and editing! Here is an example of our middle paragraph, as well as the proper heading (title, subtitle, name) to follow within your essay. Notice that this is a great document to checkout to make sure you are citing quotes properly!! Be sure to look through our blue packet for a reminder of the overview of the assignment, an organizer for the middle paragraph, and another for the concluding paragraph to help you structure your essay. And remember: a rough draft is just that: rough! We will revise and improve our drafts all next week, and the final drafts will be due Wednesday, December 2. Today, we introduced the book review assignment, now that we have finished reading and exploring Kathryn Erskine's The Absolute Value of Mike. 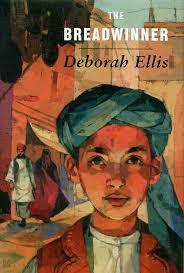 Here is a link to the actual assignment, which we read through and debriefed in class today. You'll notice that is is actually a brief writing assignment--only a single typed page! However, sometimes it is actually more difficult to write a powerful, clear single page than to write five vague ones! As we work though this essay, some other materials we will use are: this model of a book review from The New York Times (by reviewer Gary D. Schmidt); and here is a graphic organizer that we will use for our middle, body, paragraph. Our word for the day today is OBLITERATE, which is a verb that means to destroy. 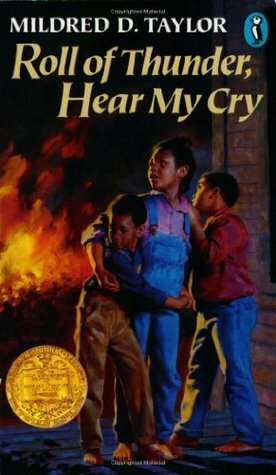 For homework tonight, write a rough draft of your intro paragraph to this book review assignment. Don't worry just yet about making it great! This is a first draft--so we are just aiming to have an argument for our essays. EX.1. 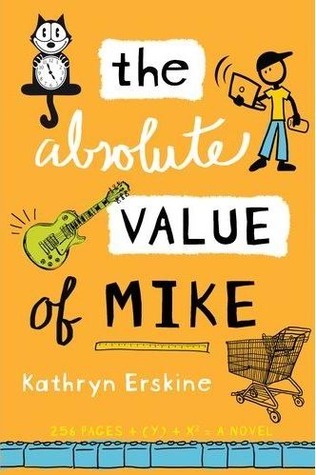 Mike and Poppy learn to have a great relationship in the novel, The Absolute Value of Mike by Kathryn Erskine. EX.2. James Frost is a good and effective father in the novel, The Absolute Value of Mike by Kathryn Erskine. EX.3. This book is great because it teaches a number of powerful life lessons. These are examples of strong thesis statements. But don't use these. Forge your own in a paragraph tonight! Today, we spent a lot of time with our noses buried deep in our ABSOLUTE VALUE OF MIKE books! As we prepare to write professional, formal book reviews next week in the library, we worked on collecting quotes that support our ideas. You all did a great job of finding ideas and passages that affect you and make you think deeply, or make your heart feel in a powerful and vulnerable way. Our word of the day today is TUMULTUOUS, which means being in an uproar or confusion; a synonym for another of our vocabulary words: boisterous! The homework for tonight is to finish Ch. 29 in MIKE. Today, we are exploring the ways in which character sin novel see themselves and how they connect with and communicate with others. As an inception point, we are watching social psychologist Amy Cuddy's fabulous talk on nonverbal communication. How do the ways in which we carry ourselves, the poses we use, and other forms of body language reveal who we are and how we think of ourselves? After watching and then discussing Amy Cuddy's talk, we then break up into small groups or via a solo endeavor, we are creating a tableau to demonstrate how a character in the novel shows him or herself. It is great fun to guess which character we are impersonating, and it's been fascinating to think of ourselves in this light, too. Today, we began with a Quick Write as we listen to a few tracks from the film Chariots of Fire. Options for the Quick Write included thinking about how our quotes for the day applies to our lives: "Sometimes you don't feel ready, but you have to move anyway." Mike says this to Poppy as Poppy sits in a tree with his arm around a Porch Pal whom he images to be his son, Doug. Afterwards, we used Reader's Theater to perform the conversation Mike and Poppy have, and the epiphany that occurs during that talk. For homework tonight, be sure to read pp. 195 - 209 in The Absolute Value of Mike (Chapters 24 - 26). Our word of the day today was IMPERVIOUS, which is an adjective that means not letting anything through. And example of the word in a line is: Poppy has been impervious throughout the novel until this climactic moment in Chapter 23. A Quick Review for our Creative Vocab Quiz Tomorrow! As Jonathan walked to school one morning, he had an epiphany: it was time to let the intrinsic desire of his heart come out so that he could be the kind of outlier he always wanted to be; he would take initiative today, saunter into the the teacher's Homeroom and ask for help to finish writing his novel. Welcome to English! Today, we will be reading and reflecting on two fascinating pieces of writing. Afterwards, we will have time to share a little of our own thing regarding these two texts, and connect them to our novel, THE ABSOLUTE VALUE OF MIKE. First, follow this link to read a two-page overview of the ooey-gooey, sticky, slimy stuff in our brain called neurons and their connections. Feel like a brain expert yet? Ready to perform brain surgery? In all seriousness, now you have some interesting knowledge anput how the brain functions, and how it isn't fully formed until you are about 20 YEARS OLD! That means the way your brain functions now will probably change! Now, read through this poem by Robert Frost, entitled, "The Road Not Taken." Okay! We're ready to reflect! Check out the questions below, and choose one to share in your comment on today's blog. If you have more time, read through and reply too other people's ideas, of respond to the second questions as well. I'm excited to see what you think! 1) Based on the Neurons article and the poem you read, do you think intrinsic or extrinsic motivation works better to help people change and make good choices? Why? 2) Yesterday, we had a great Socratic Seminar exploring success and failure. Based on these two texts, state your case for why failure truly is necessary to succeed, or why it is not. Today, we held our first Socratic Seminar. It was wonderful to hear you all talk, debate, and reflect on four key questions that relate to themes from our novel, THE ABSOLUTE VALUE OF MIKE. "There is no such thing as success--it's not a real thing. But you can have various achievements, and those can make you feel proud." "Success is reaching your own personal goals." "There are multiple ways to be intelligent--and those ways can't always be measured by traditional schools." "Ben Franklin is an interesting example of success: he never really had much schooling, and yet he was a creative genius and invented so much!" "Success is so often shaped by other people's standards; people are pressured to achieve in certain ways." "People who have a lot of empathy can often become despondent on behalf of others." "You can still have fun and grow a lot without being the best at something." "Often discouragement ties into failure; what can help is finding a hobby you like--something you believe in that brings you joy and relaxation." "Society too often values things like beauty and talent, instead of much more important things like honesty." 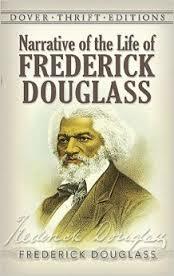 "Wealth is the most important hing in our society, because it allow people to get good educations." "More people would rather (deep down) be less popular and have good friends." "There are a lot of successful people who never went to college." "Popularity goes too far: consider the book Wonder." 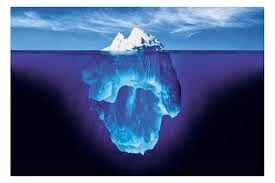 "Success is totally subjective, but society crafts a majority definition." "People who grow old too often forget what mattered to them in their childhoods." "Most of us judge by money and intelligence, but that isn't always good." "I think success is self-pride." "What can help people who are despondent--like Poppy--is having friends and social connections." "People who have lived through a lot of bad situations see the world differently." "Happiness matters the most; happiness is the key to success." "Past is homeless, but he's happy." "Failure is an important part of success." [in response to above comment]: "But failure isn't always good; like, what if you fail at disarming a bomb?" "Success is doing something that makes you feel more like the person you really want to be." "Success is about working at something again and again, over a long period of time." Our word of the day is: OUTLIER, which means: a value far away from the average (think: a person who does something very differently than others, a school or place that is very different than the norm, etc). For homework tonight, be sure to read Chapters 22 and 23 in THE ABSOLUTE VALUE OF MIKE. Today, we began by writing all of our ideas about various characters from The Absolute Value of Mike on the board. You each shared about a character and events or experiences in which they seem to fail. Then, we moved around the room and agreed or disagreed with these thesis-style statements. After debating and sharing, we began to see that what some of us view as failure in a character, others see as a form of success or growth. Next, we moved into a read-aloud theater-type exploration of Chapter 19, whereby we saw how Past saves the day at Big Dawg's. A surprising turn of events for a character whom many saw, previously, as unimportant or somewhat of a failure. Our word of the day, today, is INITIATIVE, which means a first step. Sometimes, great dreams are only accomplished when someone takes initiative. For homework tonight, read chapters 20 and 21, and be ready for a brief Socratic Seminar tomorrow (with models and explanations to come!). Is Failure Essential to Success? 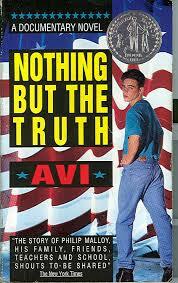 Today, we are exploring the theme of failure in life and in our novel, The Absolute Value of Mike. We are watching a speech given by famed writer J.K. Rowling, author of the widely popular and mesmerizing Harry Potter novels. (Here is the link in case you want to watch it again or are out from school today: https://www.youtube.com/watch?v=wHGqp8lz36c). In Mike, we see that failure seems to be a part of his life, too. He isn't quite able to master math, to have a good relationship with his dad, or to feel intrinsically valued for anything about himself--until Do(n)over. Then, things begin to change. Today, we are chatting about failure as J.K. Rowling defines it, and tomorrow we will explore Mike Frost's experiences with failure in closer detail. Our word of the day today is INTRINSIC, an adjective which means of or relating to an inner value or inner ability or goal. Our homework for tonight is to read Chapter 19 in Mike, pp. 154 - 161.